Drop by Waffle House for breakfast, lunch and dinner. Enjoy everything from a fresh glass of orange juice to a hot cup of coffee and from some sweet pancakes to a juicy steak. Waffle House is American food served fresh and fast, and those fundamentals have helped them to grow from a small breakfast joint into one of the largest food chains in the world. So, enjoy a piece of US history 24-hours a day at one of American’s biggest food institutions. 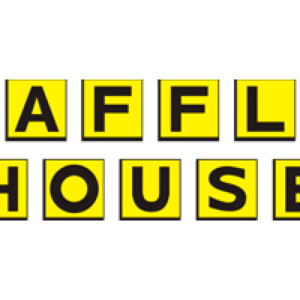 Waffle House was founded by Joe Rogers Sr. and Tom Forker, two businessmen from Georgia. They chose the Peach State to open their first restaurant, focusing on a short order concept and offering fast customer service with a smile. They took the name “Waffle House” because waffles were the most popular item on their relatively small menu. But despite some moderate success early on, Rogers maintained his position as a manager of another food chain. A year after opening, Rogers actually sold his share in the business and tried to buy into his employer’s business. When they refused, he returned to Waffle House, bought his share back and helped to lead the brand to success. This would prove to be a wise decision, because today there are more than 1,500 Waffle House locations across the world. However, the chain that Rogers formerly worked for, Toddle House, never made it beyond 300 restaurants, struggled for decades and was eventually closed in the late 1980s. 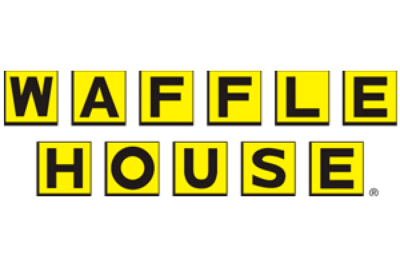 Today, Waffle House is owned by Waffle House, Inc. This makes it one of the few chains that has not been acquired by a conglomerate. A greasy, saucy, cheesy dish that you can enjoy 24 hours a day. It’s not all about waffles at Waffle House. You can certainly find this breakfast favorite on the menu, but like IHOP and other breakfast chains, there is much more to Waffle House than that. They serve all kinds of breakfast favorites, including Hash Browns, which you can order 8 different ways; omelettes, which can be filled with all kinds of ingredients; and T-Bone steaks, which you can enjoy with a plate of scrambled eggs and a cup of hot coffee. This sort of food is timeless. It’s classic American cuisine that will always have a home in this country. But Waffle House also do their bit to update the menu every now and then, so there is always something new to lookout for. If this tower of sweetness doesn’t get you excited then you’re clearly not human. Like the Nando’s secret menu, the Waffle House secret menu is a casual dining treat, offering some new ways to order your favorites, as well as some new flavors and new menu options. So, be sure to check this out if you’re a fan of this chain and you want to test the limits of their menu. It’s not all about waffles at Waffle House. You can enjoy a selection of sweet and savory dishes from breakfast through to dinner. We love a good dollar menu. There is one such option on the McDonalds menu, there is one on the Del Taco menu and there is also one on the Waffle House menu. This helps to keep costs down and ensures that even if you only have a few bucks in your pocket, you can still grab a bite to eat. Even if you ignore this menu, Waffle House menu prices are still low on the whole. You can enjoy a nice meal for just $10, and in most cases their dishes cost less than $5. This is a great place to take the whole family if you’re on a tight budget. A family of five can enjoy a wholesome meal for less than $50. See more on our Waffle House Menu Prices page. This page is updated all of the time and contains an accurate list of menu prices for all breakfast, lunch and dinner items. American cuisine like this is not exactly well known for being healthy, nor is it famous for catering for gluten-free diets, vegan diets and vegetarian diets. Your waist line is not going to thank you for those oily hash browns, those sweet pancakes or that protein-rich and fat-rich burger. Even their salads aren’t all that healthy, as they contain oils and sauces that beef-up the fat content. Still, everything is okay in small doses. You just need to make sure you know what’s in the food you order and that you know exactly how much you can eat without defying your diet. To help you with this, we have compiled a table that contains all Waffle House menu options, along with the calorie, fat, sugar and salt content of each one. To see this for yourself, just click onto our Waffle House Nutrition Info page. In the early years, the Waffle House founders opened all of their restaurants themselves. After 5 years of operation they had a total of 4, and then they started franchising. The Waffle House chain grew quickly from there, reaching around 30 locations by the end of the 60s and then growing exponentially throughout the following decades. Waffle House is not in all 50 US states. But while it was focused on the south in the early years, it has since spread nationwide. It has touched all four corners of the country and has also spread into many international locations. Waffle House is privately owned, so they are not as forthcoming with sales figures and other internal info. However, what we do know is that there are more than 1,500 locations worldwide, and Waffle House claim that 2 out of every 100 eggs used in the fast food industry goes into their food. This may not sound like a lot. But when you think of all the millions of eggs that go into McDonalds breakfasts and Tim Hortons breakfasts, as well as all of the other chains that are considerably bigger than they are, it’s quite impressive. One of the things that helped to set this chain apart in the early years was that it was open 24 hours a day, 7 days a week. They wanted a restaurant that embraced customers any time of day, from early risers looking to grab a bite to eat before work, to those on night shifts seeking some comfort food. That’s exactly what they achieved and it’s something they still do to this day.